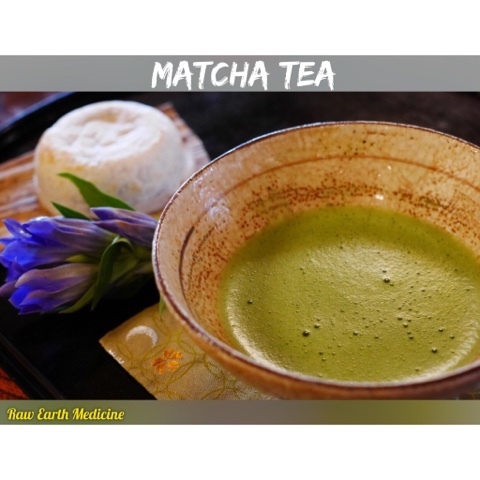 The best Matcha Green Tea comes from Japan where it is the staple ingredient upon which traditional Japanese tea ceremonies were built in the 12th century. Matcha has many health benefits, and a beautiful, distinct flavor. Matcha is essentially processed green tea leaves that have been stone-ground into a delicate powder. The powder is then sifted and whisked with hot water. .
What most distinguishes Matcha from other Green Teas is that matcha bushes are covered for up to 20 days prior to harvest to shade the leaves from direct sunlight. This is done to boost the plants' chlorophyll levels, which turns the leaves a darker, more vibrant shade of green, and increases the production of L-Theanine, an amino acid that occurs naturally in the tea plant. Thanks to the L-Theanine in the tea it will give you both a calming and stimulant affect! . Matcha is high in antioxidants, And contains a specific set of organic compounds known as catechins. Among antioxidants, catechins are the most potent and beneficial. One specific catechin called epigallocatechin gallate (EGCg) makes up 60% of the catechins in Matcha Green Tea. Out of all the antioxidants, EGCg is the most widely recognized for its cancer fighting properties. Scientists have found that Matcha Green Tea contains over 100 times more EGCg than any other tea! . Matcha is a traditional delight in Japanese ceremonies while also adding a lot of health benefits. You can make delicious Matcha teas or bake with it as well and your body and mind will thank you! .